Violence is either physical or structural: in case of Balochistan, it is of both kinds due to the circumstances it is going through in ongoing election season. The attack or physical violence on political gathering of newly established Balochistan Awami Party (BAP), 54Km from Quetta in Mastung, was claimed by Islamic State (Khurasan) for brutally killing more than 150 citizens including BAP’s candidate and brother of former CM, Siraj Raisani and wounded hundreds. 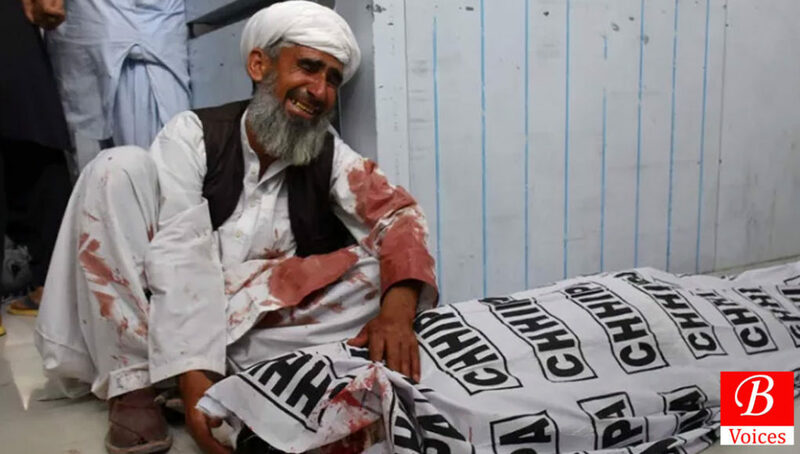 It generated huge mourning from across the country on social media by the youngsters, particularly heart-breaking for the people of Balochistan being again unsafe from every corner on the ground: sub-state and non-state actors. In addition to that, it also vanished the claims of Balochistan provincial home ministry and federal interior ministry for eliminating the roots of IS in previous government. Does Islamic State have existence in real or a myth being utilized should be differently seen from the fact that it has been getting ground since 2014 and Pakistan’s foreign office had called it as a serious threat to the country in 2015. Perhaps, last few attacks in Balochistan claimed by it and one of the successful operations against it in Mastung last year speak louder. 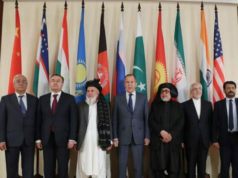 Secondly, its base in Afghanistan, areas bordering with Pakistan and its link with sectarian outfits has vivid implications for the latter’s frontier regions. Now, the clashing interests of China, United States and other countries in the region is making these facts more alarming. It has also been reported by some of the sources that Pakistan is making an alliance with Iran, China and Russia against ISIS, still not confirmed by the foreign office that may be waiting till the new government in the country is formed. The representative from Russian Intelligence, Sargai Narshan informed that around 10,000 terrorists of ISIS are functioning actively in the nine provinces of Afghanistan. This is a positive step for regional security but Afghanistan under US influence is not its part that is obviously threat to its people as well. 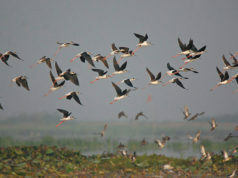 It produced new theories, spurred the older ones and even somewhere mixed both. Whoever are the beneficiaries of such an attack is another debate but it was against the inherent right of people to live without the fear of such attacks. On one side, it was massive killings by the international renowned terrorist organization, already famous for its destruction in Iraq and Syria and now also intensifying the war in Afghanistan in US-led NATO presence after losing sudden grounds in the Middle East. 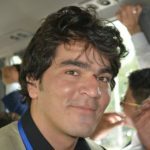 While on other hand, people on social media are frustrated at such neglecting behavior of the national media for its deliberate undermining of such violent incident for whatever purpose it has deemed so: not to give coverage for the gigantic activity of ISIS or fueling the grievances of Balochistan. International and regional politics is changing and ISIS like entity, being used as a political tool, is not unknown. Despite knowing the consequences, unfortunately we are celebrating the sacrifices and promoting the nature of threats instead of efficiently countering those. Do we really want Pakistan, Balochistan in specific, to be out of this international proxy waged by states to secure their national interests in absence of limited warfare? Sadly, it does not seem so genuinely despite the efforts. The last three attacks in Peshawar, Bannu and now Mastung are interlinked with that of former PM Nawaz Sharif and Maryam Nawaz historic arrest by the NAB. The crackdown on PML-N workers in Lahore and media was not giving sufficient coverage to it, had a sudden change when it blew in Mastung and after arresting the convicted ones at the airport. Though PML-N did not benefit from that but the emotional debate on social media for ignoring Balochistan speak much. Every move was excellently organized. Balochistan became the victim again of regional and national political game after attacks in KP. But should not we think, where are we going in the long-run? Some, as usual, came up with condemning statements to show political solidarity while others with blaming theories called it an attack by the enemies to intensify political instability that already prevails. 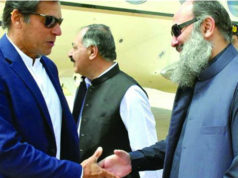 Some went ahead to justify such blame theories by showing the patriotism of Siraj Raisani and simply shut their eyes on the innocent blood of hundred and fifty plus helpless Balochs: lacking an environment to be politically active and that too in a political organization, which is controversial for its hidden support or facilitation by the establishment. Political difference on one side but political manipulation of such tragic incident is more lethal and worrying. Terrorist attack is terrorist attack that happens fundamentally due to the internal weaknesses of the security arrangements and political utility. This is the third successful blast in this week and that too when interim government and security institutions are on same page. The external threats are obvious but that is not the only solution to rely upon, where the realistic solution is to counter those and not let them keep hold of it. We should know the consequences of this like approach in a socially connected world and the relevant examples from very recent history and even present in other countries, sunk in the scourge of war, where in civil chaos and disorder the sub-state actors and government of a state fights together with international violent non-state actor like IS leaving their countries open to foreign intervention; Afghanistan and Syria could be the suited examples. State institutions should be more cautious to prevent international proxies rather closing their eyes for short-term political gains and long-term numerous side effects. In short, people are now extremely fed-up with empty words like ‘Condemn, Mourn, Martyrdom, Sacrifice, Prayers, External hands’ rather they need concrete steps: a full stop on terrorism, especially as political extension and nothing else. Whatever the shortcomings are, should be whole-heartedly accepted and must be worked upon collectively rather than irrationally justifying its factors and causes.